Initially my hazel tree, which we planted 3 years ago when we moved in, it is budding and makes me feel like spring is here. The Sea, I am blessed with two little boys who love it almost as much as I do and could sit for hours and watch it with me. This was taken on Sunday. Finally my boys, it doesn't matter what is outside my door, as long as they are both there with me. So roll up, roll up and let me present to you the wonderful world of British Mummy Bloggers. I am Mummy Mad and I will be your ringmaster today, for what will be an exciting show full of ooo's, ahhhhs and ehhhs! 20 something Mum is thinking about Modern Day Dating- How Do They Do It? Tiddlyompompom give us some sage advise on things to avoid saying to a pregnant woman. Insomniac Mummy has been thinking about returning to work and the realisation that she is more than just a mother. I would also like to introduce to you to some mysterious creatures over at Amelies House, apparently you can only see them if you are young , so I am ruled out! Home office Mum is basking in The heady heights of celebrity. Ellen from a Bun Dance has had me in tears with this wonderful tribute to her brother Bye then, Nat. It was fun. Muddling along Mummy tells the Politicians please leave your families out of this election. Whilst the rest of us are watching the entertainment 21st Century Mum is busy wondering Have We Become a Generation of Paranoid Mummies. 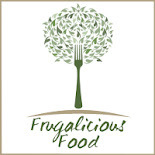 Karen from Learning Made Fun is dreading the Easter Holiday Disruption, she needs to take a leaf out of The Frugal Family's book and get the children making their own Board Games or Cathy at Nurturestores Cress heads. She could even follow Really Rachael's rules for Hide and Seek. And whilst we have all been enjoying the show Trish from Mum has gone to.. has been visiting Rome and (not so) single mum is moving to Spain. Please also pay a special visit to this lady who hasn't been feeling well enough to face coming to the carnival, but has written a very brave piece on how depression doesnt make her feel worth of their love. Now the carnival is at an end you may want to step in to Mrs Hot Cross Buns kitchen or join Kelly at her place for a little bit of Dreaming. I do hope that Mrs Mummyslife hasn't upset you with all this talk of arguing. Helen at cheeky wipes has been busy saving a life and hopefully Ali at Motivating mum has been having a baby, her post is all about not selling yourself short and very inspirational. Whilst we talk about baby's take a look at Red and Relief from Baking Mad Mama. Finally something for you all to ponder Ella at Most/Least has been asking if she should come out? 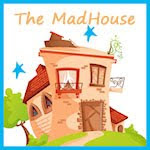 I would also like to let you know about the MAD's, which are Mummy and Daddy (MAD) Blog Awards, celebrating the utter brilliance of British parent blogs. There are some fantastic parent blogs our there and I have introduced you to only a small amount. The British Mummy Bloggers Ning has over 1152! I know it has been a while since I last did a craft showcase, but real life has been getting in the way of our crafting mojo, plus the first glimpses of spring have had us out and about as much as possible. However, with Easter Nearly upon us we are starting to do a few more things and I have seen some wonderful inspiring Easter Craft post out in the Blogging community, so without further ado, I would love it you would like any children's craft posts you have and I present my Easter Edition. Fold card in half and draw and then cut out a semi circle, it doesn't have to be perfect remember, in fact having a flattish bottom allows for the card to stand better. Stick on feathers as wings and tail and add an eye and a beak - how simple is that! Again almost too simple, but perfect for little ones to do all on their own. I did this tutorial over at Kelly's A place of my own for the blog swap, but it is a perfect craft for over Easter with the children, so please pop on over and take a look. We have been lucky enough to receive some wonderful packages in the post (more about them next week) and decided to recycle the packaging some wonderful tissue paper. So we tore the paper in to pieces, which the boys adored doing. For the glue I used some paper mache paste we had in the cupboard, which as bought from Asda a while ago, but you can make your own paste from flour and water. The wonderful Emily over at babyrambles has done a recent post on politics and the fact that the parties seem to be focusing on us mums quite a bit for this coming election. So what issues are important to me? Firstly as a stay at home mum finances are key to me. MadDad and I struggle by and I mean struggle, we are getting deeper and deeper in debt each month. It was our choice for me not to work when the boys were this age, at what other age in their lives do you get to spend this much time with them, to influence their opinions and thoughts and to enjoy having fun with them. Yes our choice, but with the age gap, it was kind of a Hobson Choice, as childcare for two was pretty prohibitive. Now had I returned to work I would have been entitled to tax credits, which in my opinion is like the government paying me a little extra money to help me afford childcare costs whilst I work. So in my very basic mindset, they are paying me to pay someone else to look after my beloved children whilst I go out to work. Why? Why not pay me a little bit extra to be able to afford to stay at home and look after them myself, surly as their mother I am the best person in the world to look after them at this age. Which brings me on to my next bugbear, education. I want my children to have the best education possible, in the local school. I want this to happen without the worries of SAT's. At six the most pressing thing I was concerned with was which Barbie should ride the white horse and why is Ken called Ken and not Buck Rogers? We complain that children are growing up too fast nowadays, well hell what do we expect with this sort of thing going on in our society. But the thing is, this is the least of it. Maxi is bright, as it mini, it is no longer the elephant in the room, we are all out and proud, but the school don't want t make a thing of it, they are happy for Maxi to do year 3 maths and aid and assist him where they can, but they don't want to fill out all the forms etc stating this is a fact. Why I hear you ask? Well if they did, then the LEA would be round, they would be pushed in to looking for additional funding for him and in all likely hood they would be learning targets. What are we doing to our children, why can the government not be happy in the judgement of the school and its teachers. We are. We entrust them with our most precious items, our children. Then there is learning to swim, when I was at school we went swimming once a week for the whole of my primary years, now they get to go for one year (if they are lucky) and that is that. The government goes on about child obesity, well is swimming not one of the best exercises you can do as a child. Oh I am getting so angry. So Politicians if you want to know what is important to me, you need to start listening. and by that I mean listening to all us mums. Oh I am not so fickle as to vote for you as your wife has nice hair, Liz at living with Kids has covered that wonderfully well and far more eloquently than could over at her blog on Kidstart. I am not as immature been concerned about your choice in biscuits, which seemed to be the overall outcome over at Mumsnet. Family are what matters to me. So instead of trawling the Internet get out and about, meet the mums at the school gates and the ones who are forced to use the after school club. Start asking them the questions. But more important that asking the right questions, to the right people, it is about delivering on the response, not just spurting platitudes. Finally I heard David Cameron this week commenting on Sam's pregnancy and it made my blood boil, when he commented that he was delighted, but yes it wasn't the most convenient timing. 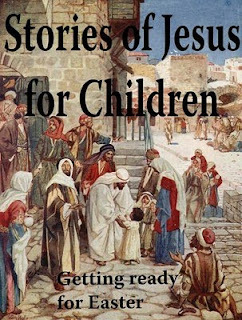 What a thing to say, why count he have just said that they were very pleased and this child was very wanted. End of. My scars, or at least some of them! When MadDad first saw them, they were red, weeping and looked as though some one had butchered me, they were not symmetrical, neat or tidy in any way, mainly due to the sepsis and subsequent operation I needed. But now they are mellowing, they are white, silver and raised, they run from under each armpit and meet in the middle with a vertical scar running up towards my collar bones. They brought out different emotions in each of us. He hated them, they made his angry, frustrated and upset. To him they represented the surgeon and body's failure to deal with the reconstruction. To me they brought relief mainly. I was relieved that my breasts were gone and couldn't harm me, but they also made me feel less of a woman, less attractive, especially as I was used to having 36GG ones. Now with the help of counselling we have both reconciled our feelings and they are just me. All this talk of Glee, has had me thinking. Now I really like Glee, it pretty much does what is says on the tin and I Sky+ it and watch it when Maxi is at school and Mini at preschool, but I kept thinking it reminded me if something. OK so they sing over the songs, but it was wonderful, ground breaking and it had David Tennant in it, what more could a girl ask for. Oh and the songs were so varried it made great viewing. 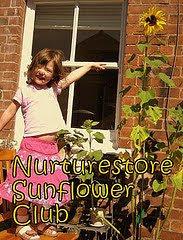 We are taking part in Nuturestores Sunflower Club and have been busy planting our seeds. We are using single giant sunflowers and have decided to start them off inside, as last year our sunflowers were pretty late and lame! So we decided to plant our seeds in egg shells, as sunflowers don't like to be transplanted and this is a great and Eco friendly way of doing this. We put one seed in each egg shell and covered with more soil. We are going to be doing a scrapbook like Nurturestore have and keep a record of growth etc over the coming months too. When I asked Mini what did the sunflowers seeds need to grow, he told me that they need soil, water, sunshine and lots of love. Firstly an update on the shouting. We have had a few relapses, but it is actually getting easier. I have noticed a real difference, it is not my first reaction a situation. Also the fact that I have been unwell has meant that the volume button has had to be turned down with the boys too. This is good news, no actually this is great. On the few occasions I have had to raise my voice the impact has been immediate and it feels good not to be all fishwife. I have been discussing Jesus with the boys and they are both finding it hard to comprehend about the resurrection, so I have bi passed this for now and we have been discussing the fact that Jesus was aware that his death was near. This seems to sit fine with the boys, infact death is not a thing to be feared in their eyes. It is a natural progression in their eyes. Part of it is down to their Grandpa being a farmer, so everything is black and white with no in between, part of it is down to their innocence and their trusting in what Mad Dad and I say, which is fine, but it does make it hard to sometimes deal with the bible. So peeps, I need some help here, we need some help. How would you discuss Easter with a 3 and a 5 year old, they are both bright and love to learn. I would like some ideas on way to explain this to them. MadDad is a very lapsed catholic and Easter doesn't hold any pleasure for him at all and that is not what I want for the boys, so friends I am all ears. OK the oldest digital photographs I have on the laptop are from 2003 and our trip to South Africa. This is the tenth one and not all that stunning in its imagery, but as a part of modern history it is just beyond my comprehension. For this is the cell that Nelson Mandela occupied for approx 18 years during his imprisonment on Robben Island. He was finally released only 13 years before this picture was taken on 11 February 1990 (he didn't spent the last part of his sentence on Robben Island). The whole tour of Robben Island was very emotional, as we were shown round by an ex-prisoner and oh my it was certainly an eye opener. The hardships that these people endured. The hard labour where they were forced to work in a Lime Quarry and were refused a lot of basic medication. We were amazed by South Africa when we visited and had the best holiday ever. You have to remember that this is a third world country, with such a mixture of first and third word, that it is mind boggling. The people we friendly, the hospitality excellent, the food was outstanding and the scenery well out of this world. One day we hope to be lucky enough to take our boys and show them. Plus I am very envious of anyone who is going to the world cup. They will have a fantastic time, in a beautiful country that has come such a long, long way since the days of apartheid, but still has a long way to travel. 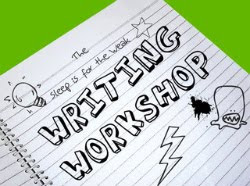 Now if you have tagged me recently, please can you drop me a line, as the flu has fried my brain and I can not find my notebook where I write all these things down - doh, I am having a homer moment as we call them. It seems like eons ago I put my name down to host one of the wonderful Mummy Bloggers Carnival and finally my time has come. So I would like to put a shout out to everyone out there to send me their best post of the past month for the next carnival which will go live on Tuesday 30 March. There is no theme, just send me the link for the post you wish to include, oh and daddy bloggers are welcome too! I have a hard act to follow, have you seen the current carnival over at Baby Baby, well done Sandy. The deadline for post submissions is midnight on Sunday 28 March. I could go down the I have a genetic spelling mistake and my body is my biggest enemy, route, but been there done that and there is something more apt, something more perfect for today. As today is my 15th Wedding Anniversary. Picture this I was 21 years old and we had set the date, MadDad and I. March the 18th 1995. The dress was bought, the hair was planned. I had the tiara and the veil. We had been together a year, yes not long in the scheme of things, but we knew that it was the right thing to do, in fact I had knew that MadDad was the one from the minute I met him when I was 16, but he was taken and that is a whole different post! 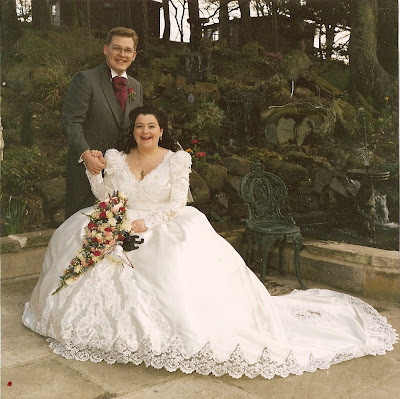 We had decided that we would announce our engagement and the date for our wedding a the same time and we also decided we didn't want a big engagement, so September 1994, we told our parents we were getting married and there was 6 months to plan it. Long enough to get everything in place, but not too long to start fretting about things and also not long enough for the costs to get all silly. Everything was in place, just the final little bits to sort, nothing major and then I realised that I couldn't see right, that road signs weren't clear and that there was something wrong, so off to the opticians I went. It was a disaster I was short sighted and I needed glasses. The optician was baffled as I had only had my eyes tested 6 months previous and the deterioration was pretty serve. So I needed glasses. I went home and I sobbed my heart out. I was so upset. I got some glasses and I hated them. I didn't want to wear them to the wedding, but how would I see anyone. So back to the opticians I went to ask about contact lenses. Yes I could have some, but they would be pretty expensive, in fact they were going to cost in excess of £100 and it was £100 we didn't have, especially as we had just found out MadDad had been made redundant. So I went home sad and defeated. The next day I received a phone call from the opticians to go back in and collect my lenses, I was baffled, he went on to explain that my mum and dad had paid for them for me and that he wanted me back in so that I could get used to them over the week before the wedding. So on March 18 1995 I walked down the isle to here comes the bride and I could clearly see MadDad looking at me with tears in his eyes. I could see the congregation, I could see my mum crying in the front pew and I was overjoyed. As I walked down the isle Mrs Mad to I vow to thee my country I could see everyone looking at me. Yes my body let me down, but my family didn't. Marring MadDad was the best thing I ever did, it was the best day of my life and I love him more today than I ever though possible. So I want to say thank you, my soul-mate for being there for me through thick and thin, sickness and health and for being the constant companion by my side. I love you. This weeks Gallery prompt was Colour, now there are lots of colourful things round TheMadHouse and I couldn't settle on one and plus I am feeling pretty under the weather. I have flu (real flu - I don't think I have ever had it before), with vertigo thrown in for extra measure and didn't fancy looking though my laptop image archives. So I grabbed the camera and have taken three images that represent a snapshot of life in The Mad House.